Rentec Direct is pleased to announce a major enhancement to the Rentec Direct accounting system. Tying in bank accounts to your properties is now supported and of course, all the financial reports are now available to both the property accounting as well as these new bank accounts giving you the ultimate flexibility. Rentec Direct has expanded the capabilities once again of the accounting systems available to you. While many landlords who manage one or just a few properties do not need enhanced accounting features, it is very useful for those who manage more units to have the ability to link in bank accounts. Managing more than one property, and feeding all transactions from these properties into a single checking account. This is very easy to accomplish. Simply visit the Settings tab, choose Property Banking and add a new account. Name it either the same as the bank calls it (ie. Wells Fargo Business Checking), or any other name you prefer. 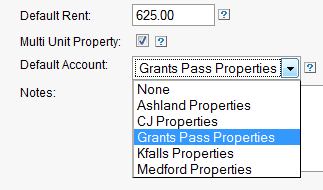 Now visit the Properties tab, and edit any properties you want associated with this new account. Within the edit screen there is a new drop down menu for Default Account. Select your new account and all transactions associated with these properties you have edited will apply to your new account. For property managers managing one or more properties for an owner. Depending on your existing accounting policies, there are multiple ways to use these new features to your benefit. The most common case would be continue using the property accounting to keep track of what is owed to the owner, and add a new banking account for maintaining and tracking your property holding account(s). 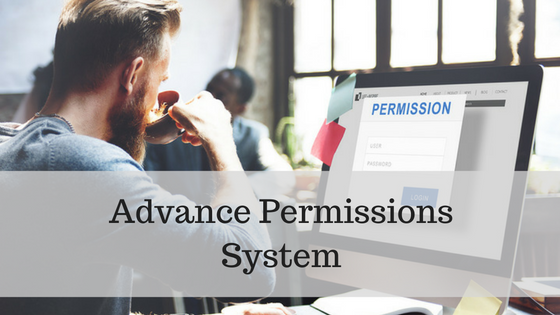 In the same way as item 1, edit each property and assign the default account to the holding account you use for this property. As you apply owner disbursements (debits) to the individual properties when you disburse funds, the associated banking account will automatically be updated with the same transaction. When you post transactions against the property/owner such as management fees, in the account drop down select None so it does not also affect the bank account balance. You can access and setup accounts under the Settings tab, option Property Banking. If you use this feature frequently it may be convenient to add an Accounts tab to the top of your window for easier access to your bank accounts. You can add this tab simply by going to the Settings tab, Program Defaults, and then mark Yes next to the show the accounts tab option. The tab will show in the main interface between the Tenants and Reports tabs. Guys, gals, whoever is in charge of your development – well done!! This was the piece that was missing for me, and now I’ve got EVEYRTHING I need.